Recently, a renowned photographer hired architects Loadingdock5 to design a new photo studio in Brooklyn. The studio is uniquely situated in the back of a typical two-story carriage house, made to hold horses below and hay above. The task presented a few challenges. 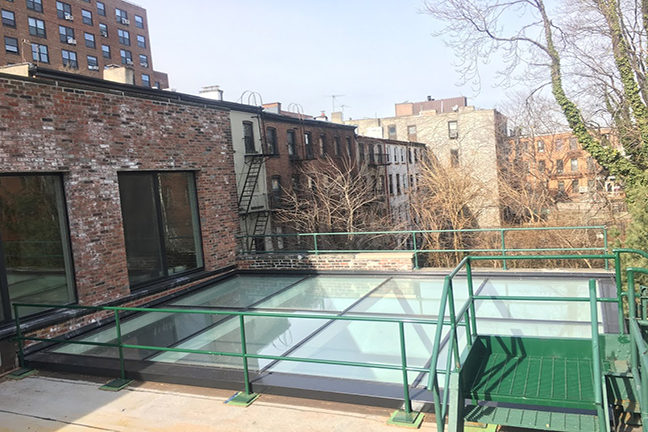 The client was asking for large glass fields with high visual transmittance, and good thermal performance - a system that would avoid condensation, interior gutters, and energy losses, with a very low pitch to match existing conditions. To bring daylight into this existing space, they reached out to 475 CEO, Floris Keverling Busiman, and the 475 Daylight team to come up with a solution that would meet and exceed their design constraints. The successful solution was the Lamilux PR-60 custom glass roof system. Loadingdock5’s Sam Bargetz is known for his focus on energy efficiency and his firm is responsible for one of the very first Passive House designs in Brooklyn at 174 Grand Street. For this studio, allowing the ultimate daylight to enter the space enables the photographer to have photoshoots on the interior, while imitating outdoor lighting conditions. No matter the weather conditions, the photographer will be able to work, given the broad expanses of glass and the narrow shadow lines that the PR-60 profiles cast. The Lamilux system with its Thermally Active Design (TAD), provides thermally broken profiles, while AVS technology allows a high-performance glass roof to be designed with a pitch as low as 2 degrees (3/8:12) without worries of leaks, condensation, or winter energy losses. 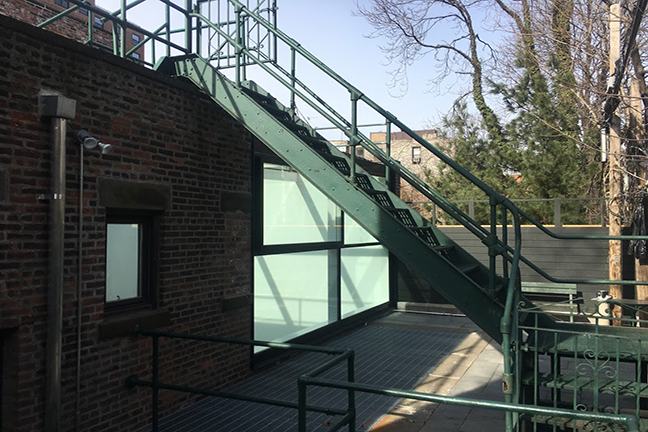 This low pitch was essential in the design of the space, as the ceiling height needed to be maximized, while the existing roof height couldn't be increased. The low pitch and self-supporting aluminum profiles of the PR-60 system allowed for this specific detail, while also allowing the 26’ x 17’ glass roof to be divided into just 8 extra-extra-large glass fields. Completed in 2018, Sam and Floris recently visited the studio. The PR-60 floods the studio with daylight, aided by the seamlessly integrated curtain wall that provides a view of the yard. The curtain wall is part of the PR-60 solution and has integrated motorized windows. The window allows for convenient natural ventilation and cooling when weather permits. 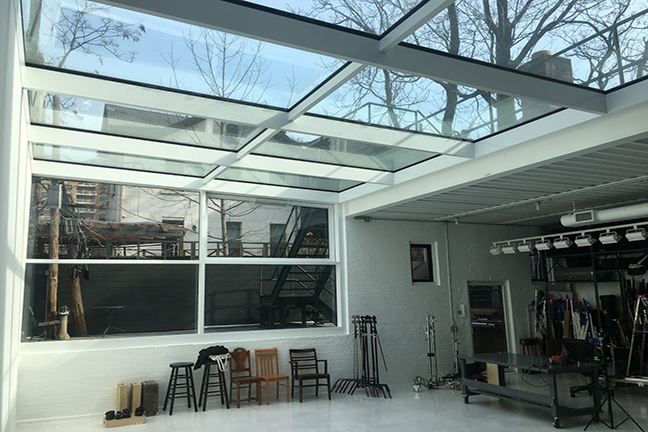 The PR-60 Glass Roof System from Lamilux allows for what we call, “Customized Intelligence.” The solution can be adapted into odd angles, low pitches, pyramids or even more challenging shapes or configurations. It provides Architects, engineers and property owners the freedom to match their design intentions, in museums, schools, offices and public spaces, while also maximizing daylight benefits, health, comfort and efficiency. Further options allow for automated ventilation, shading and or smoke/heat ventilation systems, as well as triple pane Passive House Institute Certified systems. Please contact us for your next daylight challenge by submitting sketches of your next project here and look forward to featuring it on our blog, 475 youtube channel and instagram.